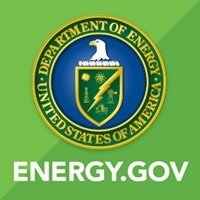 WASHINGTON, D.C. – (RealEstateRama) — The U.S. the Department of Energy (DOE) released a $5.8 million funding opportunity announcement (FOA) to support the research and development (R&D) of advanced tools and controls that will improve the resilience and reliability of the nation’s power grid. Under this FOA, DOE’s Office of Electricity (OE) Transmission Reliability Program will seek applications that explore the use of big data, artificial intelligence (AI), and machine learning technology and tools to derive more value from the vast amounts of sensor data already being gathered and used to monitor the health of the grid and support system operations. This FOA builds on DOE’s efforts with the private sector to continue improving the resilience and security of the nation’s energy infrastructure. It will expand the development and adoption of energy technologies that will help ensure a more secure, resilient, and reliable electricity system. The due date for submitting an application is November 9. More information on the FOA is available HERE.